Here in northern california we’ve had some really awful fires in the Napa area. Over 400 homes have burned and many displaced families pets, horses, wildlife . Our air had been very smokey. But great news, this afternoon the weather has change. Cooler and we actually got rain. What a blessing. In other news, tomorrow , I get another CBC panel to see what my neutrophils are. But the update isn’t good. At least in my opinion. My m spike remained at .9 , so that was good. But still on 4 mg of Pom , I hoped to get a response. And my light chains went from 890 to 1040. He wants to do another cycle, so I will, but honestly, I think Pomalyst really isn’t going to work for me. I’m not looking forward to the next line of treatment but , that’s what’s in store. I’d be pretty shocked if Pom drops my numbers this cycle. So, we went to Ikea yesterday. Always really a fun place to look at all the arrangements they make and neat things. We got the doors for the Pax closet we bought years ago and well, never finished. And some curtains for my daughters redone room. If you need curtains at a totally reasonable price, IKEA is the place. Both pairs with 2 curtains were 29 each. That’s a great price. Tomorrow, I’m dropping off a huge load to goodwill and then some items to the Cancer thrift store that are too nice for goodwill. One is a brand new spiralizer ,used a few times, and the other a brand new mandolin for vegies. After I cut my self on the mandoline, I decided it wasn’t the kinda kitchen tool I wanted to keep. It was Rosh Hoshannah yesterday at sundown. This is the Jewish new year. Of course we’re not Jewish but for some reason I like the Jewish holidays a lot. So L’Shanah Tovah!!! Happy new year. I like to think this is the beginning of a new and healthy year. We shall see. Waiting and not good neutrophils. Well, in cancer world , my absolute neutrophil count or ANC, has tanked to 667. Geez, if only it was 666. Then I could say it’s the Devils fault. Oh well, so, he said low but not too too low. ( low normal is 1500), so low. All my other blood work look great. Geez, do I really have cancer?? I just have to avoid people and not get sick if possible. So, it’s just a waiting game to see if it’s worth it. My Spep test and free light chains won’t be in till Monday. So that’s the answer. If Pomalyst 4 mg worked and brought my monoclonial protein down then I’m on board for low ANC, but if not then Baby it’s time to move on to other things. Up would be Krypolis a 2 day a week infusion. AHHH , that means sacramento 2 days a week . For 3 weeks, 12 days or 2 weeks off. I guess it’s back to feeling like a cancer patient. When you take a pill like I have for many years, it’s easy to just waltz in to the cancer center. No infusion room… It’s kinda weird but you feel like you’re a little out of the zone. Of course that’s not true, but that’s how I felt. So this will be different. In other boring news, it’s a weird yellow sky outside due to a fire and really hot. One more day of 100 plus then a cool down! The room my son left to go the studio is painted a pretty pale green and looks nice. My daughter will use this as her office for graduate studies . The studio on the other hand is a mess, but I don’t have to see it. The whole , I mean, tiny house , has been a mess for a week. My nerves are shot looking at stacks of things. So, by this weekend hopefully it’ll be back to some sense of normal. OK, is this almost fall,? cuz, it’s hot! Well, I guess its not fall til September 22, so its still summer. But 100 degrees come on. I have all the windows closed so its not too bad but we’ll see how it cools down after 6 pm. Went and had my blood test today so I’ll know some of my counts tomorrow, but I don’t think my SPEP or free light chains will be back till Friday. So, when I have my appt on Thursday i guess we will just discuss options. Honestly, I can’t really tell based on how I feel. I don’t feel particularly bad, but on the other hand I’m not over flowing with energy either… so… we shall see. Everyone is off working or school today, so I tidied up and read. We are just about done fixing the very small room as an offie for my daughter, who gave up the studio, for my son. He seems to be ok out there. Its kinda a mess, but he’s working on getting some shelving in, so that will help. 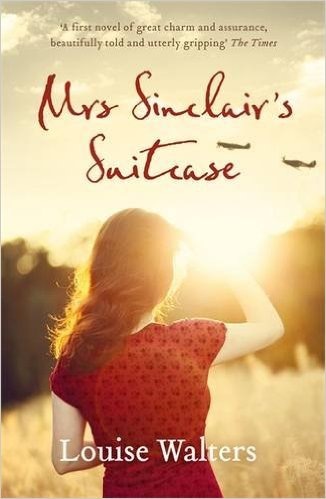 “Mrs Sinclair’ Suitcase” is a a good read. goes between two women. Well actually its a woman and her grandmother,but the grandmother is going back in time. Intriguing . 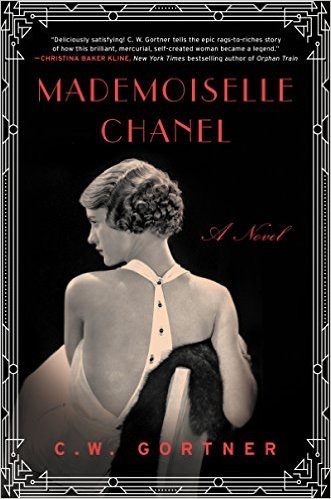 Next, “Mademoiselle Chanel”. 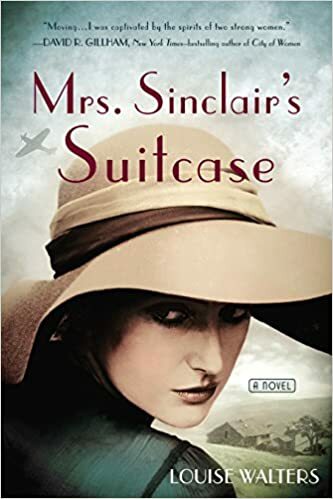 This was a great book (fiction) about coco Chanel. I loved her spirit and courage. 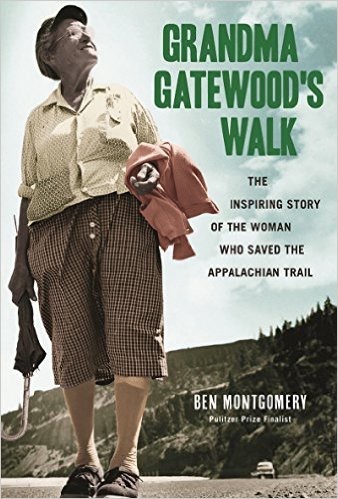 Next, “Grandma Gatewood’s walk”. This is an amazing story of a 66 year old who decides to walk the Appalaian Trail. Very inspiring. Just keep walking update ( JKW) and roof! Fall is in the air here in Northern California . Nights are cool and days just lovely. We are in for more hot temperatures next week but this time of year 99 isn’t the same as in the middle of summer. We’ve already taken out one window cooler so we’ll have to use the front rooms one if we need it. So, we are on day…..in year 3, 107! So that’s over 3 months in the new year. With weather being so nice I’m going to try and walk twice. Once in the morning and then late afternoon. Even if it’s only once around it’ll add to my daily steps. I thought about getting a fit bit, but generally I don’t like things like that so I lrobbly won’t. The roof took way longer with one day being tear off and then roof supplies delivered. But the the next day we expected a crew and it was only the gutter guy and one roofer. Kinda weird. Then he finished yesterday. But we are very happy with it. 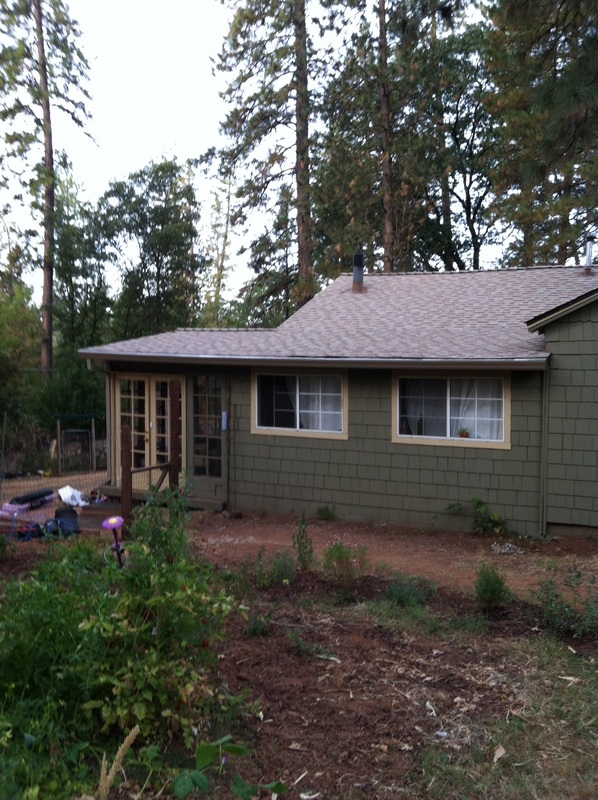 In spite of it being very expensive, we should be getting our new roof by Friday. The bid was for $8000. 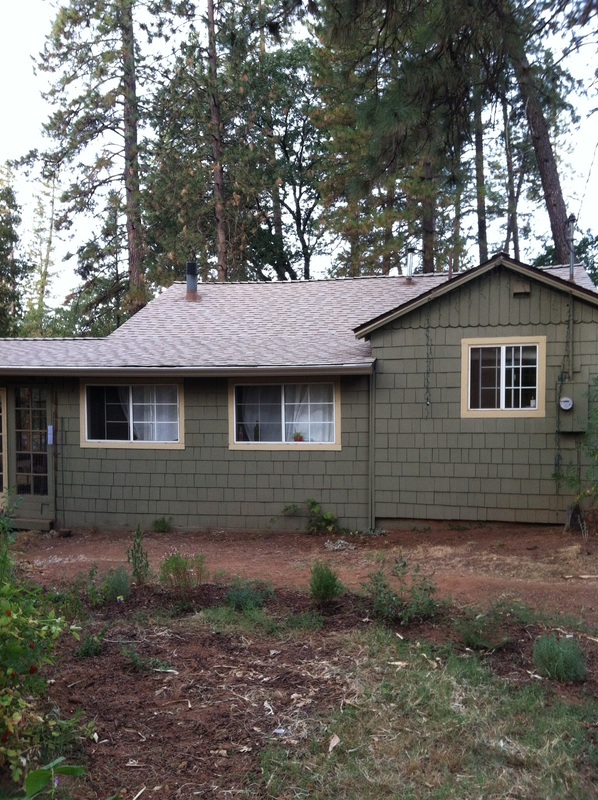 Our house is so small it’s hard to imagine it costing that much but I guess everything is expensive. 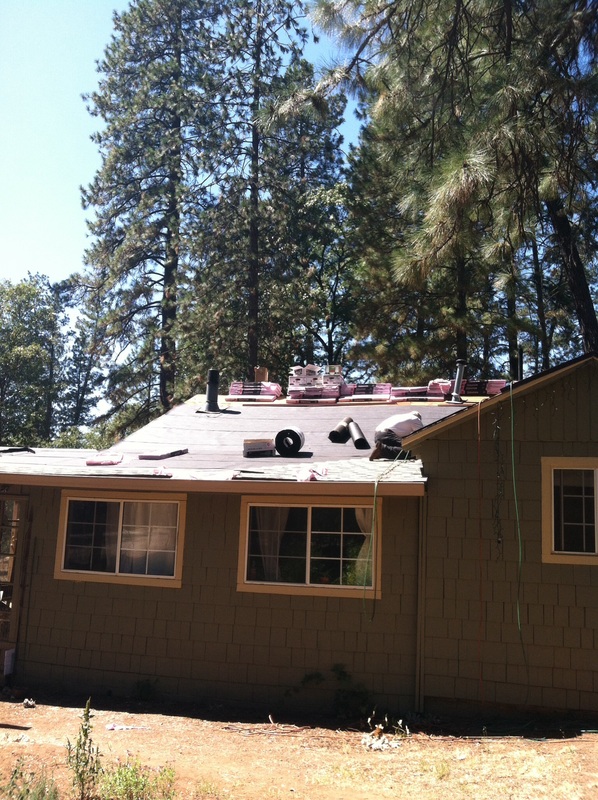 Plus, these days the roof has to be a certain quality for insulation etc. Anyway a far cry from when we did it ourselves 20 years ago. Our mortgage will be adjusting again in October , not a good thing, since it is a whole point up. But this was part of our modification 5 years ago. So, I guess we just need to adjust. I wish I could get some clarity as to whether we should sell at some point. We do not want to, plus this isn’t about downsizing as our house is less than 900 sq feet and that’s with our closing in porches. So it’s not that. It’s more can we afford to live here once retirement hits. Oh, well, I guess we’ll figure it out. We’ve been playing musical bedrooms or move stuff. My son decided he wanted to move out to the studio which is where my daughter has her study area for graduate school. And she would use his tiny bedroom for an office. So, now we need to paint that room and maybe fix the floor. So, I like when things get mixed up as things get cleaned and gotten rid of too. A good way to declutter and reorganize. Well, I’m off to flylady some and move a few more things out to the studio for Z.